Preheat the oven to about 400° Fahrenheit. Finely slice the mushrooms, then chop the onion. Heat a large pan over medium heat or you can just use an iron skillet. Add in the onion and the sausage and stir from time to time for about 7 minutes. Add in the sliced mushrooms and cook for a couple of minutes; then remove the skillet or pan from the heat. Finely chop the spinach and crack the eggs into a bowl, one by one; then add in the coconut milk. Whisk the ingredients all together very well; then add in the spinach, the garlic powder, salt and pepper. Whisk again until you get a light mixture; then add the sausage to your mixture with the remaining ingredients and mix spray a 9×9 oven safe square dish with cooking spry. Pour the mixture into the pan and top with the sliced tomatoes. Bake in the preheated oven for about 30 minutes or until the top gets a brown color and crispy texture. Once perfectly baked, remove the pan from the oven and set it aside for about 5 minutes to cool down. 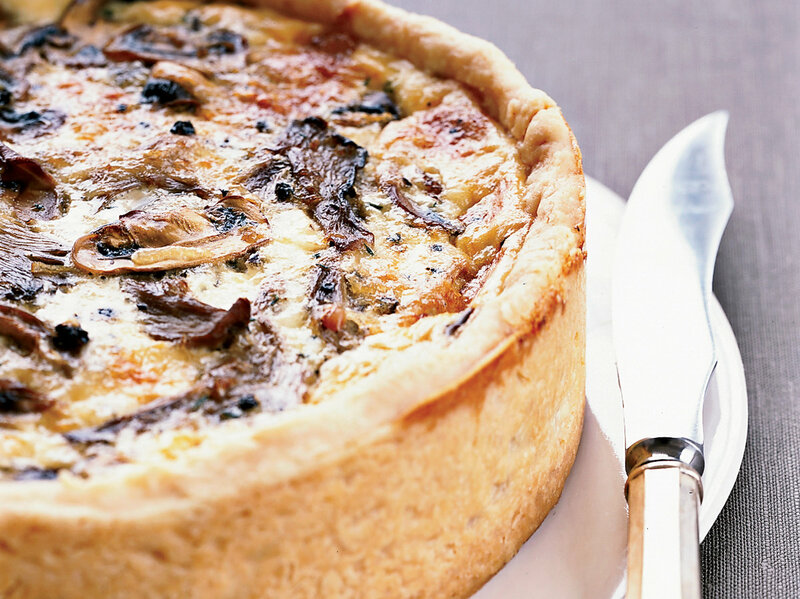 Slice the quiche into even pieces; the serve and enjoy delicious breakfast!